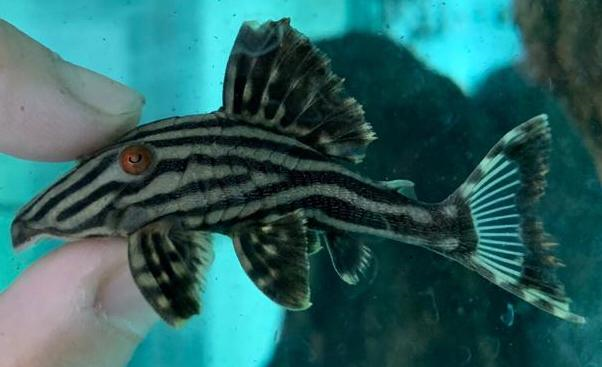 Home › Royal Pleco L190 2.5"
The Royal Plecostomus “Royal Pleco” is a very popular large species of Pleco that has been a hobbyist favorite for a long time due to its unique striped pattern and attractive coloration. The Royal Pleco also exhibits an interesting body type that features a bulky “top heavy” appearance. While they appear stubby due to their large bulky looks, they actually attain sizes upwards of 16″ within the aquarium environment.